Let’s assume you own a house before you get married, and you own it in your sole name. If you get married, what happens to it if you and your spouse later separate? In North Carolina, your separate property remains separate property after marriage but there are variations in how this is addressed when there are complicating factors. The way the deed is drafted at the time of separation matters. Although it might have had only your name on the deed when you got married, you might discover the deed has been changed. For example, at a closing when you refinanced your mortgage or got a home equity loan, the well-meaning closing attorney (who practice real estate and not family law) might’ve prepared a new deed that adds the name of your spouse for some reason. Such a situation creates an issue for a judge to decide, determining whether the property remains separate property or whether it has become a gift, making it marital property. If the deed remains in your sole name when you separate, you will retain legal ownership of it as your separate property. However, if the value of the house has increased since the date of your marriage, your spouse can ask the court for a share of the value (not the house itself) under certain circumstances. If the increase in value occurs only from the passage of time, for example, and there are no improvements or other activity by either spouse during the marriage, the increase in value remains yours. But, if there are certain improvements made during the marriage, or other types of activities that qualify, the property may then become a “mixed” asset. A mixed asset means that one part (the house itself) is separate property, but the other part (the amount of increase in value) is marital property. 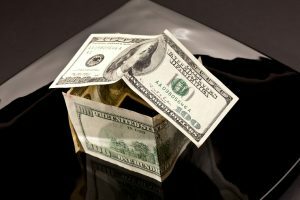 If your house is worth $150,000.00 at the date of the marriage, and $200,000 at the date of your separation, your spouse may try to prove that the increase in value (i.e., $50,000.00) value is marital. He or she would then be asserting the asset is mixed, being partly separate property (the house) and partly marital property (the increase in value). Proving the increase in value is marital would allow a judge to award one half of the increase, meaning your spouse may receive $25,000.00 worth of value when the judge rules on the marital property in an equitable distribution trial. Unless you are in danger or fearful for your safety, you should not leave the marital home until you speak with an attorney. You can get legal advice on things like abandonment or marital fault. When both parties remain in the house, there are two ways to address it. Attorneys for you and your spouse may negotiate in an effort to reach an out of court settlement. A settlement can resolve all of the matters, including who remains in the house, whether it is marital in any part, what the value is, and who is responsible for the payment of taxes, insurance and any mortgage payments. Alternatively, if either one of you files a claim related to support and/or equitable distribution (division of marital property and debt), the court will make a ruling about who remains in the home and how the expenses related to ownership of the house will be paid, along with a ruling on the value of it.